As I was reading “45 Master Characters“, I realized that each character in my book tended to fit into one or more of these archetypes or supporting characters. I also realized that sometimes my character’s actions could not fit their archetype without an explanation. For example, if a specific character is generally timid but is suddenly trying to hurt someone, I had to explain what drove that timid character to violence. “45 Master Characters” also helped me understand what motivates a villain. Being as I am not a villain myself, it was difficult for me to imagine what would make someone do something evil. Haban, Tomis’ father in “The Third Dragon”, is an evil character. He hurts his wife, his son, and has no problem hurting or killing others whether directly or indirectly. What could motivate a person to do such a thing? Haban fits well into the Dictator archetype. The Dictator is the villainous side of the King. While a King expects his commands and laws to be obeyed, the Dictator demands it. The King may have someone who doesn’t obey his law be banished or jailed whereas the Dictator will have them tortured and killed. Lucinda in “The Raven’s Fire” and “The Dragon and the Lion” is a little like the Amazon archetype. Although she is a princess, she prefers to be out with the boys, mock fighting with swords, riding horses, and so on. She hates wearing dresses and doesn’t care how she looks. Queen Hanna in “The Dragon and the Lion” is a little like the Matriarch archetype. She turns into the Scorned Woman when she feels that she has been betrayed. She is a strong woman and not at all a submissive queen. Everything she does, good and bad, is done because she believes it is what is best for her family line to stay on top. Tomis is closest to the Messiah archetype. Even though he is a child in the first three novels, it is obvious that he is growing into the qualities of the Messiah. He questions right and wrong and always tries to do what is right. He is willing to sacrifice himself for those he cares about. And he is strong willed with ideals that others can look up to. Reyker is a friendly supporting character for Tomis. He is Tomis’ mentor. Lord Kildas also becomes a sort of Mentor to Tomis but Lord Kildas is more like one of the main archetypes. He could be a Protector with a few of the qualities of the Messiah. Narvina and the Oracle are also a friendly supporting characters. They are like the Magi described in “45 Master Characters”, with a few slight differences. “45 Master Characters” helped me refine and develop my characters more fully. Without the information I learned from this book, my characters may have been dry and boring. If you have written or want to write a fantasy novel, “45 Master Characters” could help you too. Of the 20 master plots defined in “20 Master Plots“, “The Third Dragon” fits best in the Quest Plot. “The Third Dragon” is also a bit of an Escape Plot and a Maturation Plot, but Quest Plot fits best. In the Quest Plot, the story is character driven rather than action driven. It is the story of the character’s journey rather than a story about the journey itself (although the journey is important too). An example of an action driven plot is the Adventure Plot. Indiana Jones is a good example of an Adventure Plot. Indiana Jones is on a quest but he does not change as a person like he would in a Quest Plot. Tomis is the main character of my book and his character grows in “The Third Dragon” and the other books of The Dukarian Legacy. Being that he grows up, this is how “The Third Dragon” is also like a Maturation Plot. In a Maturation Plot, the character confronts issues which make him realize that he is no longer a child and has to grow up. In “The Third Dragon” Tomis suffers his own father trying to kill him as well as the death of someone close to him. He has to learn to cope with these terrible things in his life. “The Third Dragon” is also a bit of an Escape Plot in that Tomis and other characters have to escape for their lives. However, “The Third Dragon” isn’t solely about the escape since the characters do not need to escape until about half way through the book. It seems to me that most fantasy novels are quest plots. Although they are full of adventure, pure adventure is best for the big screen. In reading a novel, we want to get close to the characters. We want to feel what they feel and experience what they experience. This can’t be done as well in an action driven plot as it can in a character driven plot. “The Third Dragon” is also a tiny bit like a Mystery Plot. The entire story revolves around a specific prophecy, which in turn involves Tomis. Some characters think they know what the prophecy means while others try to figure it out. But the characters are not spending the story trying to figure out the meaning of the prophecy (which they would do if it were a true Mystery Plot). They, instead, are living its fulfillment, often without even realizing it. When I first wrote “The Third Dragon” I didn’t feel like its plot was strong enough. 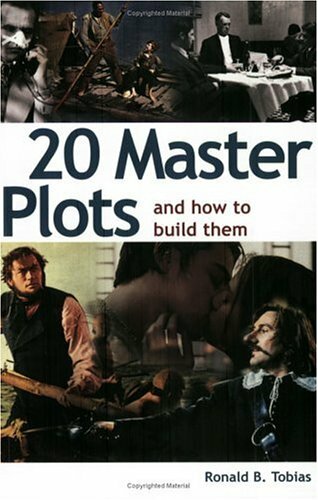 “20 Master Plots” helped me to make it better. I refined the plot to keep the story from going everywhere at once by rearranging chapters, eliminating certain chapters, and inserting other chapters. If you have written or will write a fantasy novel, “20 Master Plots” is a good source of ideas and a good way to make sure your book stays on track with a plot. Sometimes when I write, I get stuck on a certain character. Whether it be the main character or a supporting character, I can have difficulty giving them a believable personality. The most difficult types of characters for me to write were the villains and antagonists. Understanding what motivates a person to do bad things was hard for me to relate to. “45 Master Characters” was the perfect book to help. Chapter one begins with defining archetypes. Archetypes for characters are basically characters which fit within an ideal or generally accepted model. Many characters in books and movies tend to fit into these models in some way or another. This does not mean, however, that you can’t make your characters different from these. But they are good basic guidelines to use in order to make your character model. You can also combine archetypes into one character. The book warns that archetypes are not stereotypes. “Stereotypes are oversimplified generalizations about people usually stemming from one person’s prejudice.” Stereotypes may be the way your main character is viewed by other characters in your book, but the archetype of your character shows who she really is. Twenty eight of the forty five characters are divided into male/female, hero/villain. The book defines the general personality traits of each archetype including what motivates them, their fears, and what they care about. When you are creating characters for your book, it is helpful to use this information to determine how and why your character reacts to events and their surroundings. Examples of the female archetypes described in this book include the Seductive Muse, the Backstabber, the Nurturer, the Betrayer, the Maiden, and the Troubled Teen. Examples of the male archetypes are the Protector, the Businessman, the Gladiator, the Warlock, the Seducer, and the King. The names almost speak for themselves, but the book goes into much greater detail. The next thirteen character types are the supporting characters. There are three types of friends – ones who are close confidants of the character or ones who show up along the way to offer advice or assistance. There are six types of rivals (rivals are not necessarily villains). And there are three types of characters who provide symbolism to the story. For example, a supporting character could be a person who represents the hero’s past or a person who represents who the character wants to become. This is forty one of the forty five characters. For the life of me, I can’t determine what the last four are unless it is in Part V of the book which describes difference between the feminine and masculine journeys. In the feminine journey, the protagonist travels a path which could lead her (or even him) to power or success. In the masculine journey, the protagonist has power but loses it. In the feminine journey, the protagonist can either succeed or give up. In the masculine journey, the protagonist can either embrace the change and grow to be better for it or deny the change and lose everything. 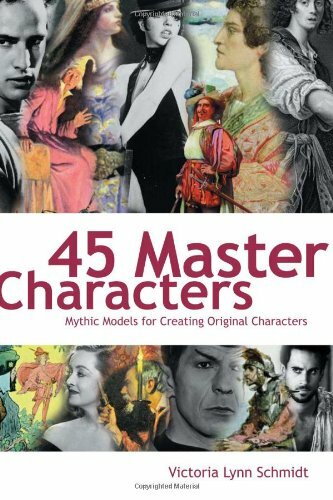 “45 Master Characters” by Victoria Lynn Schmidt was very helpful. Although each character in my book already tended to fit into one or more of these archetypes or supporting characters, this book helped me go into more depth with their personalities. I wish I had read “45 Master Characters” before writing my book. Reading it after caused me to go back and edit. But that’s okay. If you want to write or are writing a fantasy novel, consider reading “45 Master Characters”. Whether you have written or want to write a fantasy novel, it helps to have a group of people support you. Who better to help than people who also want to write or have written a fantasy novel? Such a group could help you with your writing techniques, give you ideas, provide constructive criticism to your work, or give you tips on how to get your work published. I searched long and hard for such a group. I was hoping to find a local writers group but the town I live in is small. I could drive to the Kansas City area, but the only groups I found were for writers in general. I really wanted a group that specialized in fantasy writing. While I did not find such a specialized group, I did find a great forum online. Check out http://www.fantasy-writers.org/. It has everything I wanted except the local connection. There are a lot of great people there with a lot of knowledge who are more than happy to help. If I get stuck on certain terminology, such as medieval weapons, there is someone to help. If I need ideas on how to make my rules of magic, there are people there to share their ideas. And if I need someone to read what I have written, there are people there who would love to share their opinion of my work. The website doesn’t look all that fancy, but it is full of great people with lots of knowledge. Who could ask for anything more? So if you need help to write a fantasy novel or to get your fantasy novel published, check out http://www.fantasy-writers.org/.